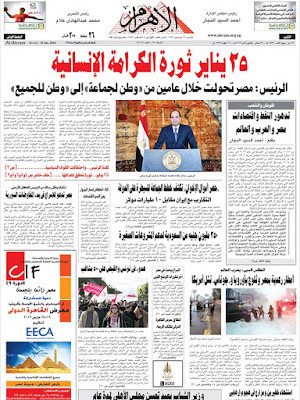 Five Years Since the "Friday of Rage"
January 28, 2011 was the first Friday after the outbreak of the Egyptian Uprising, and became a crucial turning point. Protesters called for nationwide demonstrations, clashes were widespread.The Muslim Brotherhood announced it was joining the protests. By evening the Army rolled into Cairo, and the demonstrators welcomed them, the beginning of the "Army and People are one hamd" myth which would prove a fantasy. Five years ago today, so much seemed possible. One of the most famous institutions in the Middle East in World War I, though its work was largely secret at the time, was the famous Arab Bureau. This small but growing section of the British Military Intelligence section in Cairo would eventually count among its members T.E. Lawrence, Gertrude Bell, David Hogarth, Aubrey Herbert, Herbert Garland, George Lloyd (later Lord Lloyd), Stewart Newcombe, Leonard Woolley, and others. You may want to review my posts of a little over a year ago on the British Intelligence Section in Cairo and the complicated chain of command, as well as the new men assigned there. Most of the intelligence section discussed there would either join or work closely with the Arab Bureau; some in Cairo, others with the Arab Revolt which the Arab Bureau would strongly support. 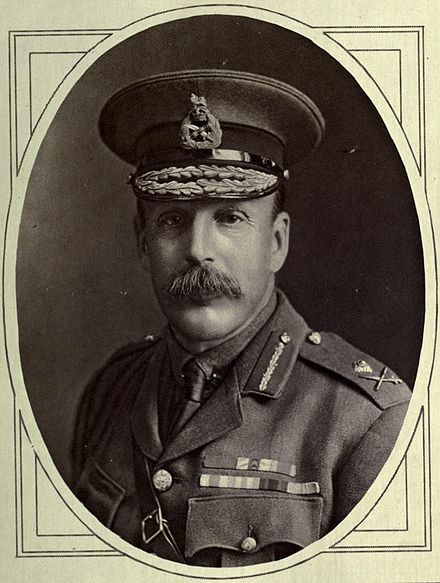 The Bureau's creation was the brainchild of Sir Mark Sykes (later of Sykes-Picot fame) who, after a tour of the Middle East from Egypt to India had ben impressed by the facts that Germany and the Ottomans were doing a better job than Britain in propaganda to the Muslim world outside of India. In my earlier posts on the Cairo Intelligence Section, we discussed the rivalries between the Indian Government in Delhi and Simla and India Office in London on the one hand, and the Foreign Office and War Office on the other. India was resistant to putting the Arab Bureau in Cairo, since India wanted to maintain control of the Mesopotamia Campaign and its influence on the Arab tribes in the Gulf. The Bureau and its secret intelligence publication The Arab Bulletin would be major players in the remaining years of the Great War. "I took part in the January Revolution"
The recent unemployment demonstrations in Tunisia have continued to spread, and now Tunisia's Interior Ministry has declared a nationwide curfew from 8 pm to 5 am. The protests have spread throughout much of he country's hinterland after spreading from Kasserine where one demonstrator was electrocuted last week. President Beji Caid Essebsi has expressed sympathy and promised to work to improve job prospects. 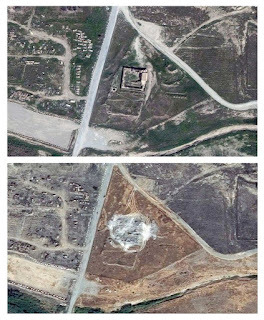 There has been a lot of publicity this week about the destruction of what is believed to be Iraq's oldest Christian monastery, Deir Mar Elia (St. Elijah) near Mosul, by ISIS. 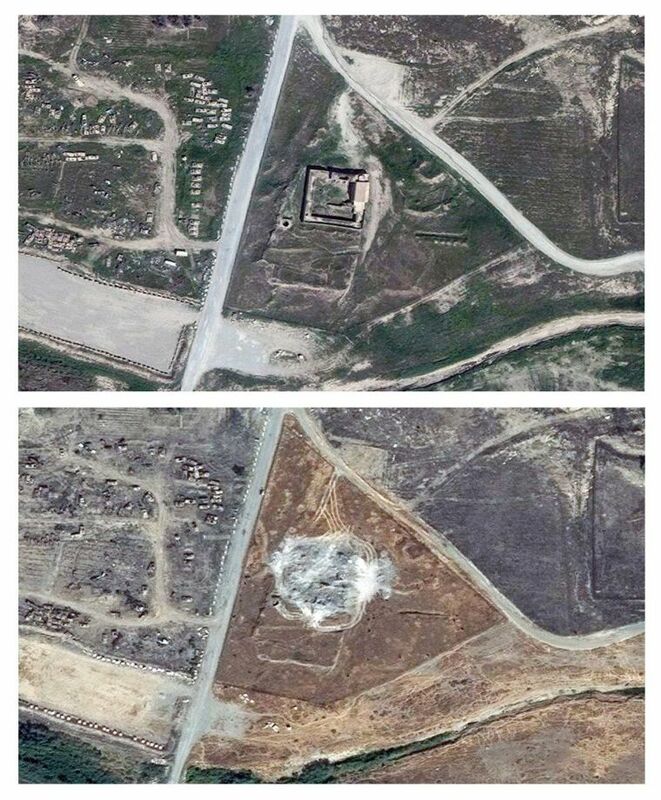 It is, like all of ISIS' destruction of ancient sites, a barbarous act. But what may be missed by those who read only the headlines, is that it was destroyed in August-September 2014. Iraqi Christian sources from the Assyrian and Chaldean churches throughout last year. What is new is the publication by the Associated Press of DigitalGlobe satellite photos that confirm that the ruined walls of the monastery have been obliterated. It provides a dramatic visual, but the destruction had been reported long before. 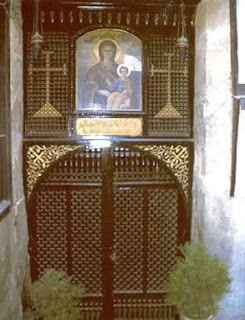 Mar Elia was founded as an Assyrian (Nestorian) monastery in the AD 590s. 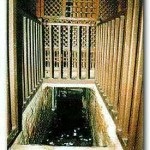 Much of the structure was built from the 11th century onward, and destroyed in 1743 by the Persian Nadir Shah. Is ruins, though roofless, were cared for by the Chaldean Catholic Church and was a site for pilgrimages. The ruins were used as a military base by Saddam Hussein, and during the US Occupation a Catholic chaplain celebrated Masses on the ancient altar. It's another crime against antiquity, but it's not fully new news. In this month that marks the fifth anniversary of the success of the Tunisian Revolution some may feel a sense of déjà vu. Today Tunisia announced a curfew in the western provincial town of Kasserine, which has been the scene of demonstrations by unemployed young graduates, some of whom have attempted suicide. It inevitably reminds us of the suicide of Mohammad Bouazizi in Sidi Bouzid that sparked the uprising. Though a dictatorship has been replaced with a democracy and has even seen a peaceful transfer of power, for young graduates without job prospects, things have not improved, and the anniversary has underscored that irony. The US media is preoccupied with today's announcement that Sarah Palin has endorsed Donald Trump, but a far stranger matchup occurred in recent days when Samir Geagea suddenly endorsed his arch-rival Michel ‘Aoun for the Lebanese Presidency. You may recall that President Michel Suleiman's term ended in May 2014 and Lebanon has failed to elect a President since. (In the absence of a President, which has been a frequent issue in recent years, the Prime Minister acts as President.) In 2014, Parliament (which elects the President by a two-thirds vote) failed to elect a President due to differences between the March 8 and March 14 movement. Lately efforts to resolve the situation have revived, though the constitutionality of the present Parliament is itself debatable since it extended its own term. The Maronite Patriarch has sought to encourage a common candidate (the President must be a Maronite). As far back as 2014 I was noting that the main candidates had the same familiar names as the warlords of the civil war era, being either the same men or the sons or grandsons of he old zu‘ama. That is still the case, but the move by Geagea, a March 14 figure, endorsing ‘Aoun, a March 8 member backed by Hizbullah, is a genuine surprise that reshuffles the deck. Lately there had been some talk of naming March 8 supporter Suleiman Frangieh (grandson and namesake of the President in the early 1970s), an old rival of Geagea's, though what persuaded Geagea to endorse another old enemy, ‘Aoun. A Punic Survival in Berber, Even in Siwa? I like to think there is some small, eccentric subset of my readers who have been asking themselves, "why is he spending so much time on history and current events and neglecting posts on obscure linguistics of dead Middle Eastern languages?" I even like to think that a subset of that subset has been mumbling, "You haven't had a single post on Punic since the summer of 2013! " Then, you may recall, we discussed the question of whether spoken Punic (the language of Ancient Carthage) survived until the coming of Arabic. Actually, maybe none of you are thinking that. But not being a linguistics expert, I have to refer you to someone who is, Lameen Souag over at Jabal al-Lughat, who also deserves congratulations for his 10th anniversary of blogging. I also recently linked to his posts about the officialization of Tamazight in Algeria. 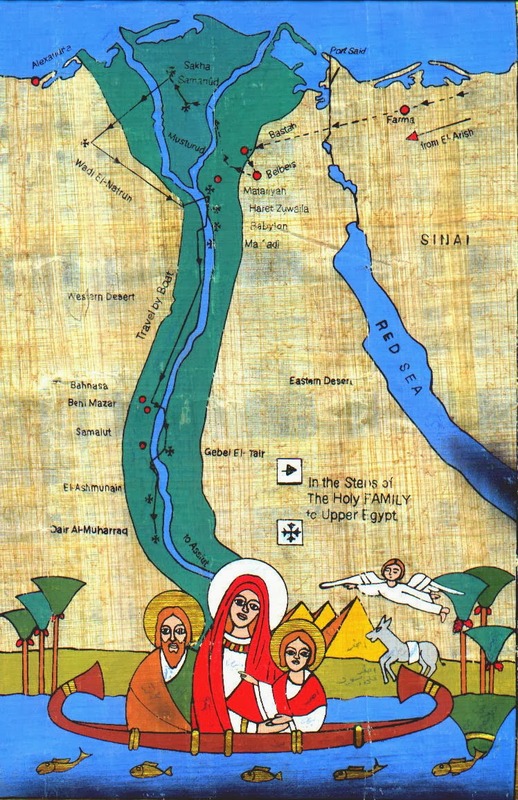 The answer is simple, as I discuss in the introduction to my book Berber and Arabic in Siwa (Egypt): modern Siwi seems to derive mainly from a Berber variety spoken much further west, which reached Siwa only during the Middle Ages. There very probably was a Berber language spoken in Siwa before that, but if so, it has left very few traces. I, at least, find that fascinating. Stop! I've got a baguette and I'm not afraid to use it! 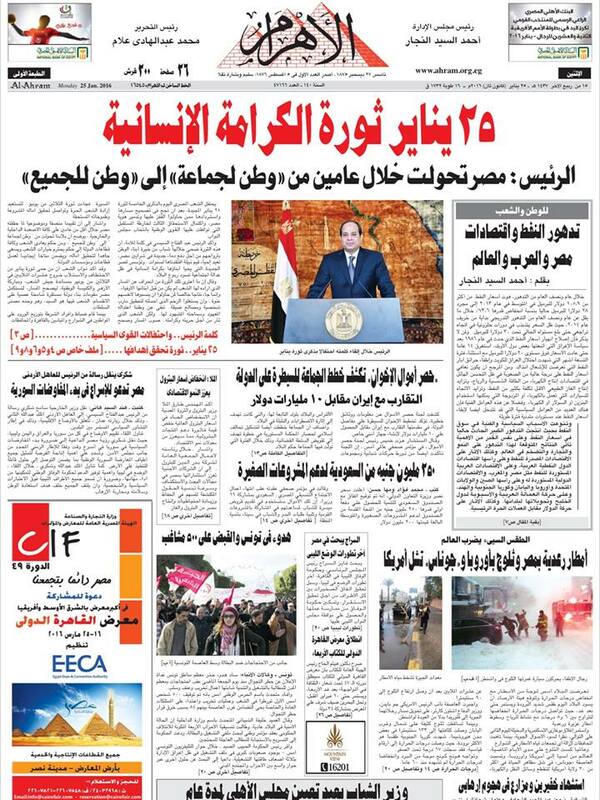 Five years ago today, on Friday, January 14, 2011, Tunisian President Zine El Abidine Ben Ali fled Tunis for exile. 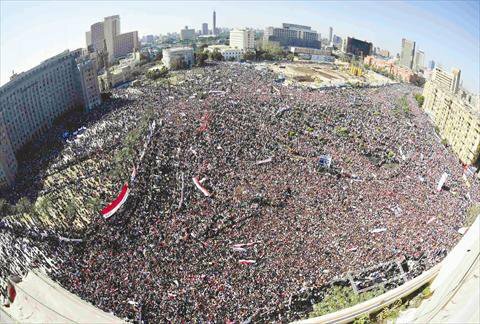 The first of the revolts we came to call Arab Spring had succeeded. 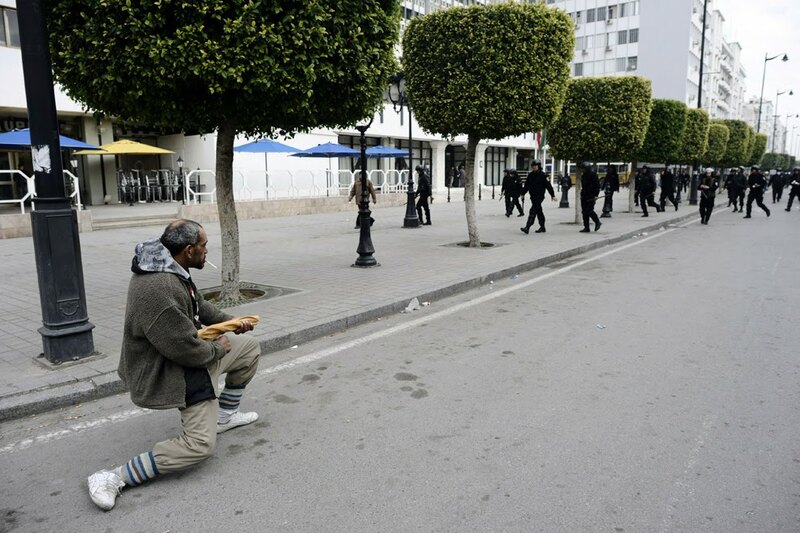 Ordinary people, like the iconic man with the baguette in the photo above, had toppled an authoritarian regime. 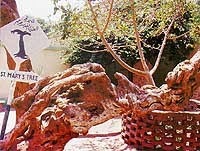 Everything seemed possible: the "Jasmine Revolution" was already being echoed elsewhere. Wordsworth's words on the French Revolution seemed appropriate. But the French Revolution led to the Terror, to Bonaparte, and to the return of the Bourbons, who had "learned nothing and forgotten nothing." The second Arab Awakening divided Libya, subjected Syria, Iraq, and Yemen to civil wars, and saw Egypt return to a military-backed regime. The only good news, and it is imperfect, is where it all began: Tunisia has seen free elections and peaceful transfer of power, despite persisting radical violence. The lessons of the last five years will be studied for generations. For good or ill the old Middle East is gone, and a new one still emerging. The hopes of peaceful change were disappointed, except in Tunisia. The vibrant excitement of 2011 has been disappointed, and in some ways it seems much longer than five years. In January 1916, following the withdrawal of British and Allied forces from Gallipoli, the British reshuffled the command of the Mediterranean Expeditionary Force and the military force in Egypt. 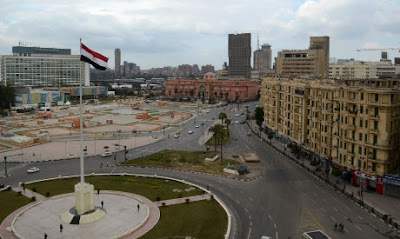 At the same time, the intelligence structure in Cairo was reorganized with the creation of the famous Arab Bureau. This post will deal with the command change; a later post will address the Arab Bureau. You may want to review my posts of a little over a year ago on the British Intelligence Section in Cairo and the complicated chain of command, as well as the new men assigned there. With the withdrawal from Gallipoli, the Mediterranean Expeditionary Force's sole remaining front was at Salonika in Greece. Overall command returned to Cairo, with General Sir Archibald Murray taking over command from Sir Charles Monro in early January. Murray would continue to be responsible for the logistics of the Salonika front, but a French general took over operational command. 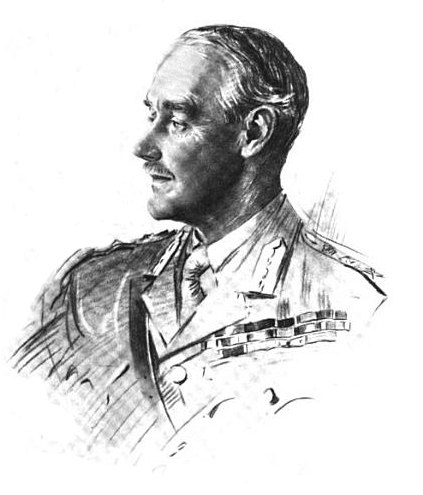 The residual British force that had remained in Egypt was left, for the moment, under the command of Sir John Maxwell, but it was responsible only for the Senussi campaign; in March the Force in Egypt would be merged with the Mediterranean Expeditionary Force to form the new Egyptian Expeditionary Force under Murray's command; in April Maxwell would be sent to Ireland to deal with the Easter Rising. "Archie" Murray arrived in Egypt after a stint as Chief of the Imperial General Staff, but like each CIGS who served under Lord Kitchener's War Office, he was soon replaced. 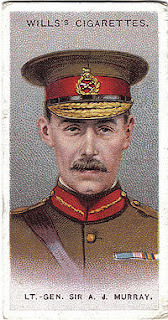 A veteran of the Zulu and Second Boer Wars, he began the Great War as Chief of Staff to Sir John French on the Western Front. Well hear a lot about Murray over the coming year. You may think the holidays are over, but don't forget the traditional Berber agricultural New Year, Yannayer, usually celebrated January 14, the new year in the Julian Calendar, though some Algerian Amazigh celebrate today, January 12. And this year, Algerian Imazighen have some good news for the new year; a proposed constitutional change that would make Tamazight "a national and official language" alongside Arabic. An Academy of Amazigh Language is also promised, perhaps to standardize various existing languages into a national language. 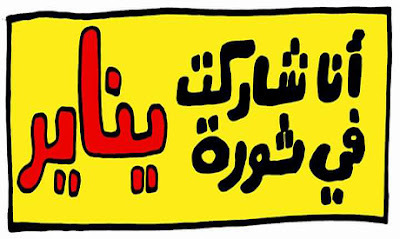 In 2004 a constitutional change made Tamazight a "national" language but not an "official" one. Arabic is still defined as "the national and official language of the state," while Tamazight is "also a national and official language." The addition of "official" is new. 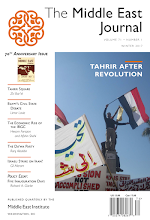 See articles: in French here, Lameen Souag on the subject here and on party reactions here and an article on expanding Tamazight language teaching here, and the links to pdfs of the new constitution in Arabic and French. Yes, Algeria changes constitutions frequently, and President Bouteflika is ailing and there are rumors his brother is calling the shots, but this is yet another example of the growing assertiveness and recognition of the Amazigh role in contemporary North Africa. Egypt's New Parliament Speaker: Too Old Guard? Egypt's newly elected Parliament met for the first time over the weekend, with major tasks ahead, including approving several years of Presidential decrees in the absence of Parliament. There were controversies even over the Parliamentary oath, but the selection of law professor ‘Ali ‘Abdel-‘Al as Speaker has also drawn criticism. ‘Abdel-‘Alis a veteran lawyer and Parliamentarian, but many see him as a figure of the Old Guard, of the Mubarak and SCAF years. The Old Guard is well represented in the new Parliament, and is much weaker constitutionally than the Parliament elected in 2011. A century ago tonight Britain's Gallipoli adventure ended. The decision to evacuate was made the previous November. Beginning in December, Britain had been evacuating its troops, under cover of darkness and keeping up artillery cover to distract the Turks. By the new year 1916 the beaches at Anzac and Suvla were cleared, and troops remained only at Cape Helles. On the evening of January 8, they too began embarking under cover of darkness. By 1:15 am on January 9, the troops were assembled on the evacuation beaches. Guns and ammunition dumps were prepared to be blown up and other supplies burned. At 2;30 am the 13th Division troops were mostly embarked from Gully Beach but there were insufficient boats for the Headquarters Staff and a storm was rising, so Division Commander then-Major General Sir Frederick Stanley Maude, with his staff and the beach pickets, had to make their way overland to W Beach instead. Carrying a valise and stumbling through underbrush, Maude an his party were an hour late reaching the beach where the last lighter was preparing to leave. Maude, the later conqueror of Baghdad, came to be known as the last man on the beach on Gallipoli, though some of his staff or the naval landing party may have followed him. The news that your march is o’er. I’m off in the lighter a-lone. The once powerful twin sister of the last Shah of Iran, Princess Ashraf Pahlavi, has died in exile at age 96, Princess Ashraf wielded considerable power during her brother's reign, served as an Iranian diplomat, and played a role in persuading her brother to agree to support the US-British backed Operation Ajax counter-coup in 1953, leading critics of the monarchy to compare her to Lady Macbeth. A spokesman said she died in Europe but for security reasons did not name he country. 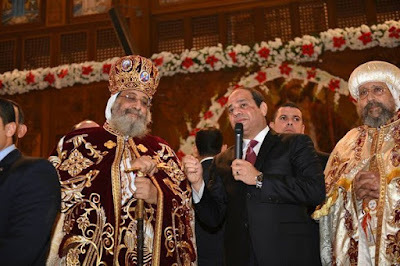 Egyptian President Sisi has attended Coptic Christmas Eve Midnight Mass at Saint Mark's Coptic Cathedral in Cairo for the second year in a row. He was greeted by Pope Tawadros II,and addressed the congregation, conveying holiday wishes and drawing cheers. 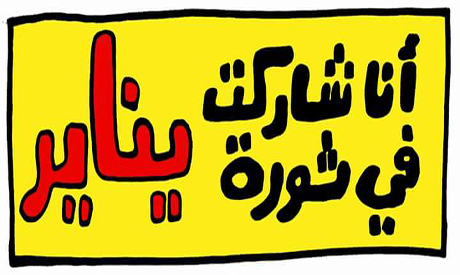 Video in Arabic. 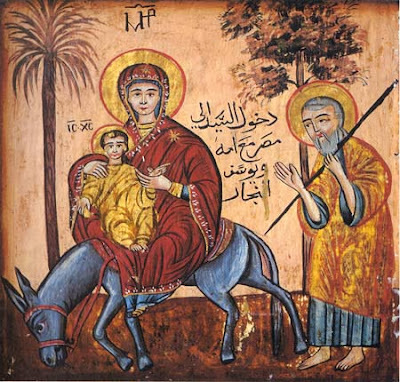 Those Eastern Christians who follow the Julian Calendar will celebrate Christmas this Thursday, January 7. Can the Escalating Crisis Be Contained? Due to rain in the Middle East, many social media users posted New Year's photos of rainbows in Jordan, Gaza, and Lebanon. I thought it might be an excuse to make my first post of the new year an optimistic one. But January 1 was a holiday so I didn't post. And then the region went to hell in a handbasket over the weekend. The spiraling escalation of the Saudi-Iranian crisis, beginning with the Saudi execution of Sheikh Nimr al-Nimr, the subsequent attack on the Saudi Embassy in Tehran and the breaking of relations has happened so quickly that there is cause for concern that the situation could spin out of control. At a minimum, hope for some sort of peace deal in Syria is likely to be a casualty, and the GCC could escalate the proxy war in Yemen. The lack of a common land border makes direct ground clashes unlikely, but in addition to he proxy wars in Yemen and Syria, naval tensions between the two countries could threaten the security of tanker traffic in the Gulf. Although predictably, much of the analysis focuses on the sectarian angle, seeing the Saudi-Iranian rivalry in Sunni-Shi‘ite terms. That isn't wrong, given Iran's revolutionary enthusiasm as a protector of Shi‘ites everywhere, and Saudi Arabia's claim to be a defender of Sunni orthodoxy, but it implies an inexorable rivalry that is not historically the case. A more productive analysis may be to see this as a function of the dramatic change in Saudi policy over the past year. What was once the most cautious of countries has become assertive in the extreme, some would say even reckless. The year is not beginning well. Toby Craig Jones analyzes Saudi motives here.